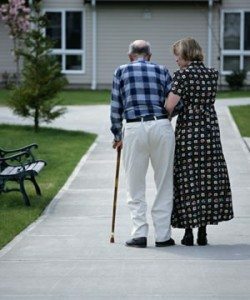 Bringing in a home care aide or homemaker aide is a major decision to make. One way to validate that decision is to approach the situation from a “we’ll try it once” angle. Doing so may make it easier to decide on the right type of home care aide or companion. Home care agencies. Home care agencies handle the screening and background check of their aides. Billing and tax issues are usually less complicated because the home aides or companions are employees or contractors with the agency themselves. You also will generally be getting a home care aide that is insured, bonded, and has liability insurance in case they are injured, something is broken or goes missing. Agencies should also be licensed, which allows you to check their history for performance, and problems such as abusive behavior or theft. Unlike independent providers, independent agencies are responsible for filling in when your home care aide cannot make it. Independent providers. These individuals may offer lower rates than agencies because they work alone. However, without the backing of an agency, it can be difficult to fully trust someone enough to take care of your loved one. You may find someone who is great, but with out a thorough background check, you can never be sure. Also if something were to go missing there is very little that can be done to recover the item or pay you to replace it. Vet these candidates carefully before hiring, get references, and call on them. It may also be worthwhile to consult with an accountant or tax attorney to discuss the tax ramifications of hiring an independent provider. No matter what type of provider you decide to hire, be sure to do your homework, tour facilities, interview potential candidates, and get as much information as possible before making a decision about the type of home care that is best for you.